As the Copa America and Euro 2016 tournaments slowly become an afterthought with far and between memories, local football enthusiasts can start gearing up for another high intensity tournament on our shores. 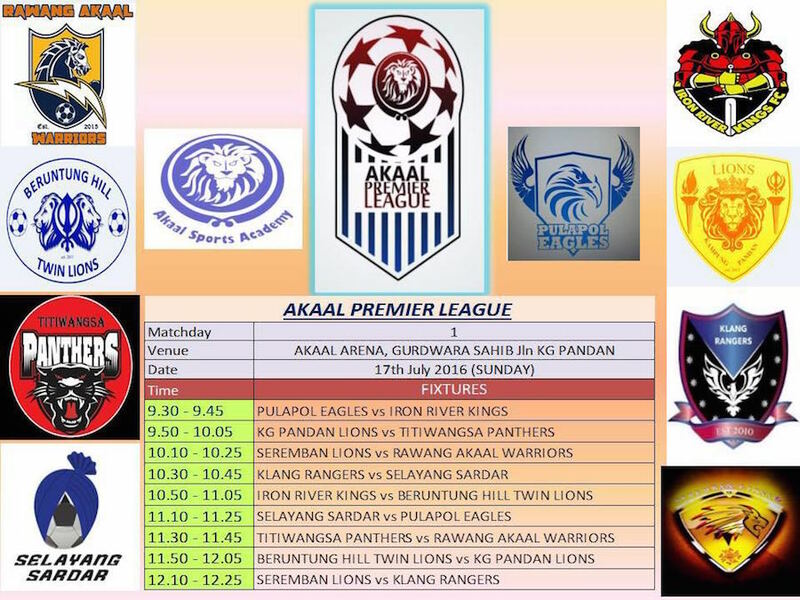 The Akaal Premier League (APL) is back in its second incarnation. Action will begin on Sunday (17 July) at the Akaal Arena, the futsal field at Gurdwara Sahib Jalan Kg Pandan, Kuala Lumpur. After its successful stint in December 2015, three additional teams are stepping forward for the challenge. They are the Seremban Lions, Selayang Sardars and Klang Rangers. The original six — Pulapol Eagles, Rawang Akaal Warriors, Pandan Village Lions, Beruntung Hills Twin Lions, Iron River Kings and Titiwangsa Panthers — will continue with their campaigns from where they left off last year. Defending champions Pulapol Eagles will have their work cut out fending off so many new challengers this season. Early reports indicate that the Iron River Kings have made some interesting acquisitions and are looking like the team to beat, if pre-season preparations are anything to tell by. But the same could be said for the rest of the teams. Fresh faces, new managers, new coaches, all eager and motivated to up their game with so many lessons learned from last season. From a neutral’s perspective, expect better quality and more action this season. Asia Samachar will be providing coverage for the whole season, hopefully providing answers to some hot burning questions for fans and neutrals alike. Will Sumi of Beruntung Hill Twin Lions be the only lioness amongst the lions this season or will there be new female faces impressing us? Which of the Lions would stand tall, Kg Pandang Lions or the newly promoted Seremban Lions? Would Eagles be able to retain the championship after a head to head finish with the Rawang Akaal Warriors last season? 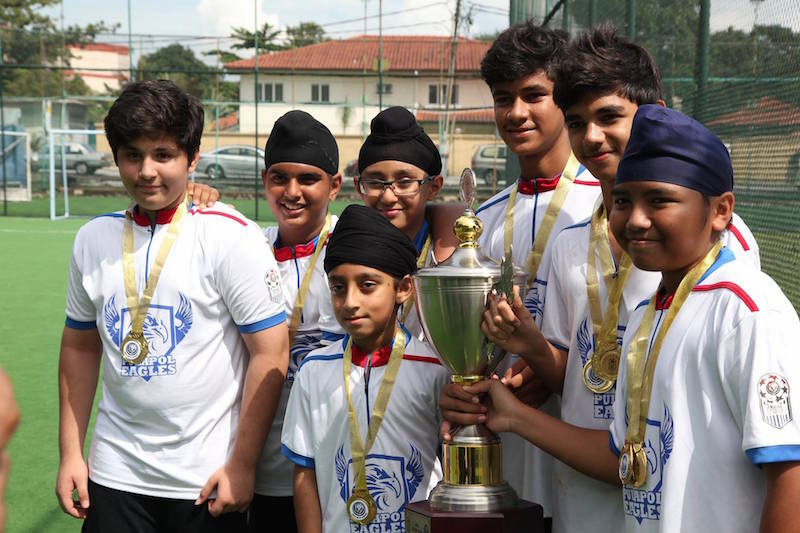 APL is organised by the Akaal Sports Academy which is headquartered at Gurdwara Sahib Jalan Kg Pandan. It is supported by Sikh Naujawan Sabha Malaysia (SNSM). The Naam Medic are the official medical staff at grounds. Official media partners are Asia Samarchar and Sikh Inside. The action start 17 July. Be there or be square.